What is the purpose of AccuVein? Avoiding veins helps avoid bruising. 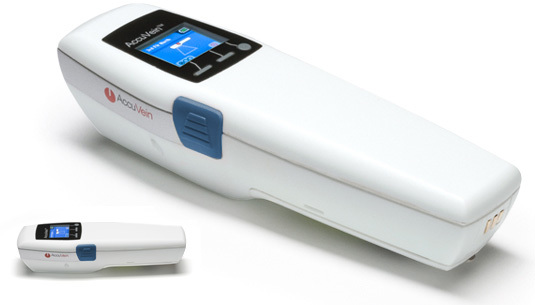 AccuVein is the industry leading vein illumination device that facilitates locating peripheral vasculature by displaying a map of the vasculature directly on the patient’s skin.